If we haven’t banged on enough about the awesomeness of being a redhead, with its genius genetics, crazy stereotypes and excessive sunscreen requirements, perhaps new illustrated journal, My Life as a Redhead, will do the job. 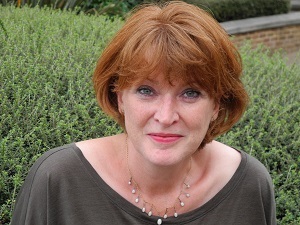 Created by Jacky Colliss Harvey, author of bestselling ginger oracle Red: A History of the Redhead, My Life as a Redhead allows gingers both natural and dyed, current and former, to catalogue every aspect of their redheadedness. Prompted by interview-type questions throughout the book, the reader can note down aspects of their ginger lives while also learning more about this exclusive club at the same time. Not only that, but nestled between empowering redhead quotes, sunscreen tips and ginger facts are heaps of delicate watercolour illustrations, which add to the personal, handcrafted feel of the journal, so it’s great for kids (both big and small). There’s also something incredibly nostalgic about this compendium of cuteness. 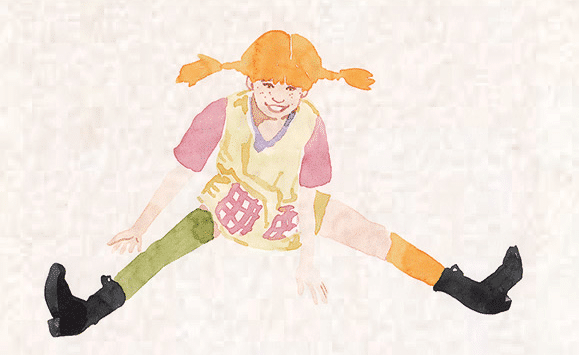 You’ll no doubt feel memories of practising your handwriting at school coming back to you, of listing family members and favourite friends – except this is much, much better: it’s all ginger-related. And anything that’s 100% ginger-fied is OK by us. My Life as a Redhead is educational, creative and thought-provoking – everything you could ever want from a gift for a redhead (or yourself). 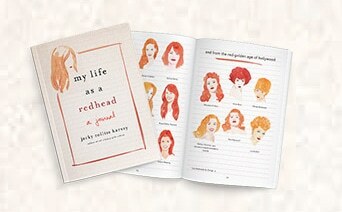 My Life as a Redhead: A Journal by Jacky Colliss Harvey is available to buy on Amazon in the UK for £14.99 and the US for $9.89. Emma dresses herself in mismatched multi-seasonal clothing and has a talent for sniffing out the next opportunity for coffee.She believes that any new band with a female musician is the next big thing and that whoever is currently dating Ryan Gosling is the luckiest lady on earth.Her biggest obsession is shopping online for castles, (probably) fueled by childish fantasies of finding her prince and settling down for a life of luxury, bathing in a pool of gin and bitter lemon.Other than that, though, she’ll be incessantly researching the latest gingerful news to deliver to Gingerkind.